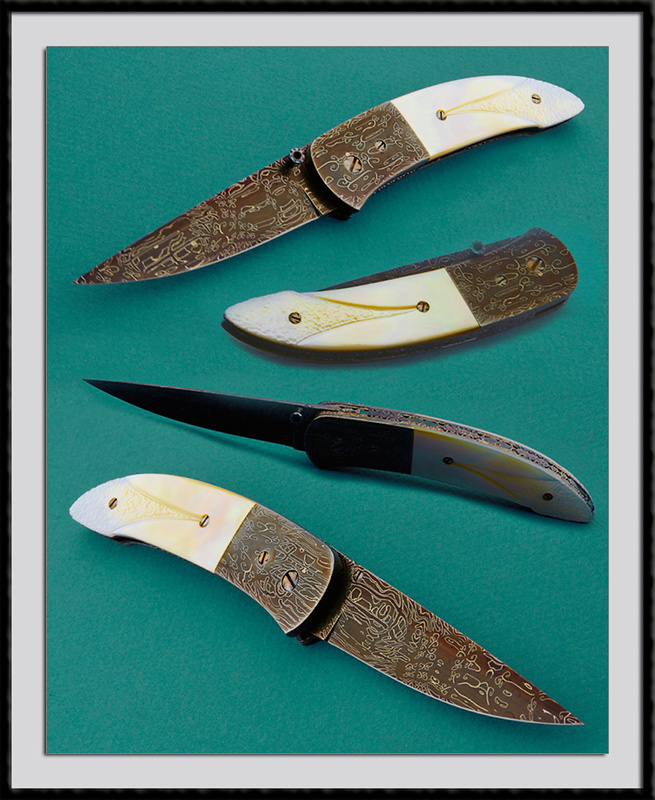 Rick Dunkerley, ABS Mastersmith crafted this Fancy Folder, Mosaic Damascus blade steel and matching Bolsters, BL = 3 1/8", OAL = 7 1/4", completely file worked Spacer and Ti liners with Stippled and a Carved Gold Lip Peral scales accented with file worked screws. Fit and Finish are of the Highest order. Condition is Mint.